Home Getting her act together! She had nothing to lose but her inhibitions. The stage was the mode of transportation which she used to display her acting prowess. 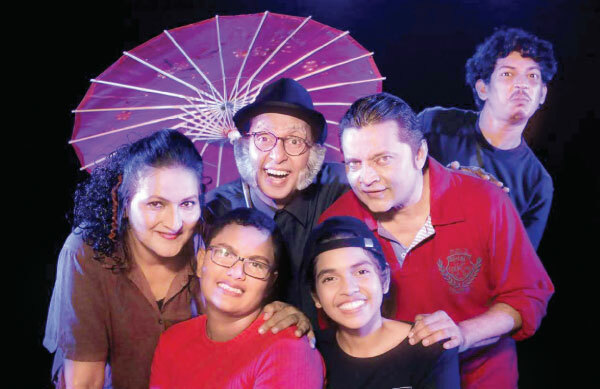 Winning the Best Actress award at the State Children’s Drama Festival is no walk in the park but Imaya Bogoda won the title for two consecutive years! She was the Best Actress 2017 in the English Limited Category for playing the role of a storyteller in Nimasha Fernando’s ‘Chairs’. 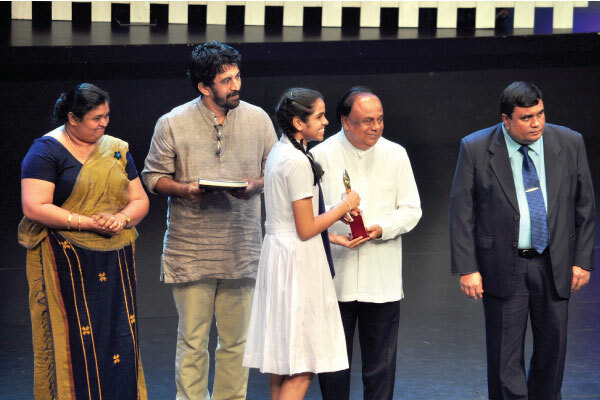 She took part in Sachitra Rahubadda’s ‘DoReMiFaSoLaTi’ this year and bagged the Best Child Actress award in the English Open Category. “’Chairs’ is based on a group of nine storytellers and three magical chairs while ‘DoReMiFaSoLaTi’ expresses how music came to this world. They were two plays which were poles apart from each other. We rehearsed for nearly a year for ‘Chairs’. I never thought that I would win such a prestigious award let alone bag it twice! My aim was to give a good performance,” Imaya said. 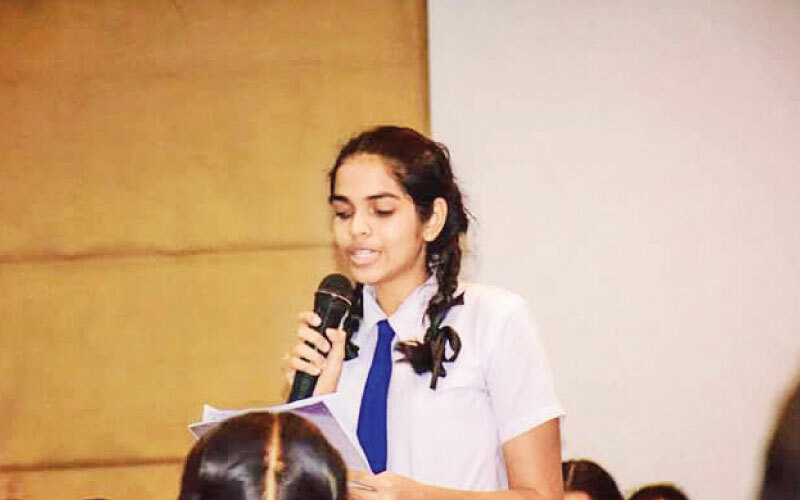 The 14 year old student of Musaeus College, Colombo, has excelled in a number of extracurricular activities from sports like squash and netball to scouting, western music, painting, acting, public speaking, and debating. She had represented Musaeus College at the Interschool Squash Championship from 2013 to 2017. 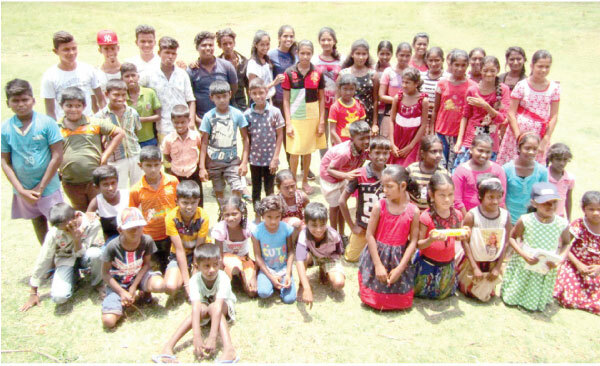 She was the Under 11 champion of the Interhouse Squash competitions and became the first runners up in the novices’ girls under 11 category in the Sri Lanka Squash Federation Otter Aquatic Club. Imaya has IWMS Written Exam Honours in Grade 1 2015 and was a member of the recorder group which won first place at the Western Province Recorder Competition 2015. She has won first and second places and merit awards for her flair for painting too. Imaya was a shooter in the Interhouse Netball team which emerged first place in a number of events. She had bagged distinctions and honours in elocution and had made a mark for her public speaking skills. She was the Interhouse Debating Competition 2017’s Best Junior Speaker and had captained the debating team as well as won the Best Debator award several times. She is a Cub Scout Gold Star Winner and is currently competing for the District Commissioner’s Award in Scouting. “You never know if something might suit you perfectly until you have tried it. The exposure, knowledge and the experience you get when you multitask is immense. You get a number of opportunities to discover your talents in various fields. They are pretty much like hidden gifts in you, which you still haven’t opened,” Imaya opined. Queried on what her pet project out of the lot is and she has a hard time figuring it out. “That is difficult to decide on but I think I enjoy acting a bit more than the other things I engage in. Acting is magical. You get the opportunity to change your attitudes and your looks. You can be anyone on stage. Being someone who is totally different from you is something that has fascinated me,” she noted with a smile. Her parents had persuaded her to take up a sport some years back when she was at the brink of becoming overweight. Imaya had chosen squash. Her first coach was F R Deen who is the current head coach at Royal College. Nalanda College and Kotelawala Defence University coach Mohammed Sulaiman and Mahanama College and Tamil Union coach Lal Wickramasinghe too trained her. Whyteleafe Performing Arts Academy head Nalaka Swarnathilake had recognized her flair for public speaking. She took part and won first place in a competition organized by Whyteleafe Performing Arts Academy at the Vishaka College Auditorium in 2014. The topic she took up was ‘My Dreams’ and she presented it in a manner which was totally out of the frame of the formal orating style. She won over the jury which comprised some well known names in the public speaking sector. “I got goosebumps when I started off for the first time. Public speaking helps to build a strong personality. We can use word power to influence the world!” she exclaimed. She points out that observation, reading books, gathering knowledge and increasing one’s vocabulary through such media as well as watching and listening to speeches delivered by professional public speakers enhance a person’s gift for public speaking. “Try to be creative and think out of the box. I guess everyone is a speaker but they just have to work a bit harder to add that ‘public’ part to the front,” she noted with a mischievous giggle. For her achievements do not always mean winning an award. She considers realizing her talents and using them for self actualization as her greatest accomplishment. Unfurling her thoughts on being a scout Imaya says that you can live your life to the fullest sans gender barriers if you take up scouting. “Girls too love adventurous activities like hiking, outdoor camping and cooking. Scouting also teaches us how to mould our lives. It trains us to be down to earth, move on with the society and overcome our day to day challenges. At the end you are given the scope to serve the society in the best possible way you can,” she expressed. Imaya is currently working on a project about Child Abuse with the police. She has chosen the topic because it has become a timely need as five to 10 incidents are reported every day. “My parents and a few of my friends helped me start this project. Our first step was taken on a village called “Thimbilla” by joining hands with the Chillaw police. 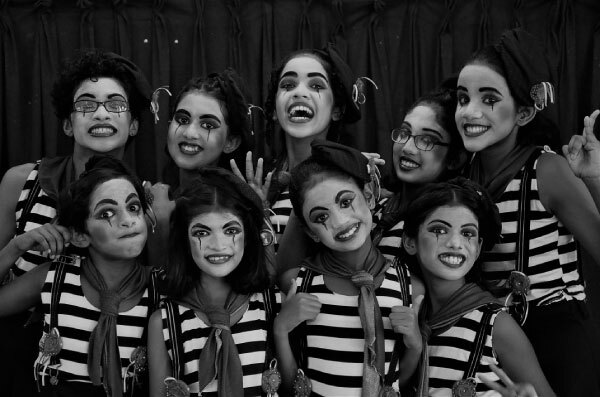 The aim of this project is to create a child -based awareness on child abuse. It is based on how it can happen, how to protect ourselves and how to identify our inner talents. Our goal is to create a society from children who are against child abuse. We have done around three projects so far and we are planning to do more projects in rural villages as well as in schools in the future. Anyone who wishes to join us is welcome,” she said. One of the most interesting things the team had discovered while doing the project was that children listen to their peers more than they do to adults. “Scolding and penalization won’t make them better but a friendly tone and a touch of kindness will change them,” she explained adding that businesswoman, human rights activist and environmental campaigner Dame Anita Roddick inspires her. Imaya father’s, Thimira, is a Director in the apparel industry while her mother, Melani, is a drama producer. Her brother, Inush, is a merchandiser in the apparel industry. Imaya is a past pupil of Matale International School and Oxford College International, Udahamulla. Her ambition is to venture into the medical field as well as free the world from child abuse. “Be yourself because no one else in this world is hundred percent like you. Being an original is worth more than being a copy. Dare to take challenges and to do the impossible. Life is short, so make every second count. Try everything and use your talents and skills to the fullest. Never wait for opportunities to come knocking at your door. Just go ahead and open the door. Always keep in mind to be a doer who dreams and a dreamer who does,” she concluded.